To put it together, simply cut a strand of hempmcord to your desirable length. I used a straightener to iron out all off the kinks so that it would hang naturally. Add an assortment of greens equidistant from each other, alternating types of greenery. Tack the ends to a wall, and you're done! 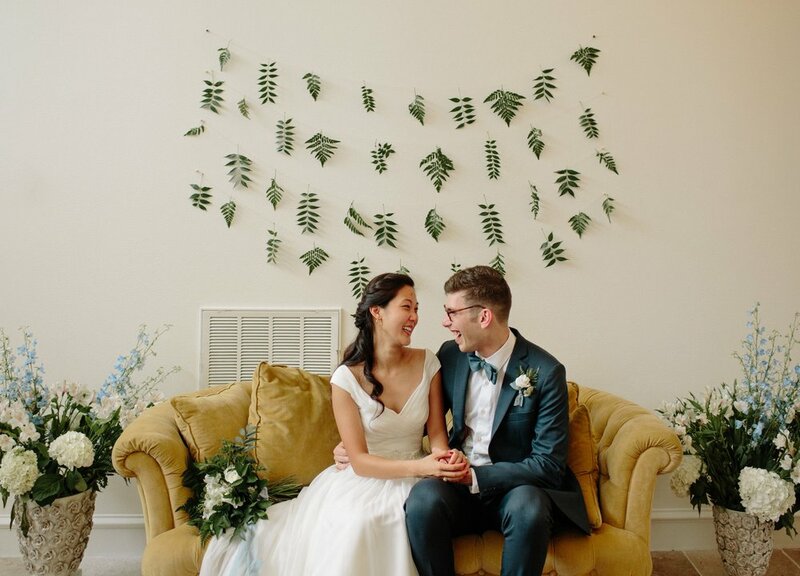 Try this out if you have a blank wall you don't know how to fill, or make one for a fun backdrop for a special event or gathering! If you make one, snap a pic and send it to me- I would love to see it!